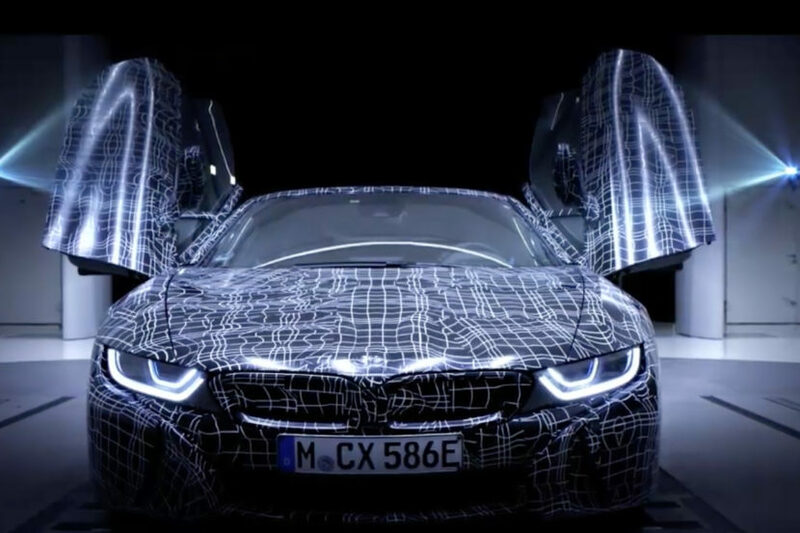 With a first official teaser video, the BMW i8 Roadster moves back into focus. The first open-top hybrid of BMW i will come on the market in 2018 and is currently being prepared for its market launch in the wind tunnel. 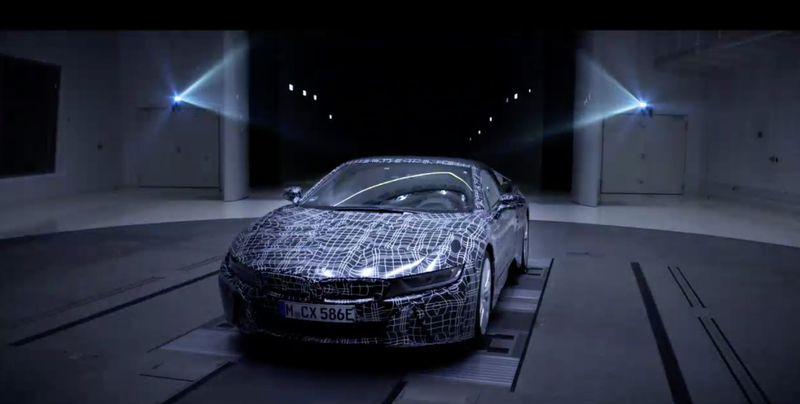 In the teaser video, we see a heavily camouflaged i8 Roadster with a closed roof in the aerodynamic test center of the BMW Group. At least in this state, however, the aerodynamics does not differ significantly from the permanently closed BMW i8. The BMW i8 Roadster will receive from the outset the measures of the i8 Facelift, from which the coupé will benefit from 2018. In addition to a revised chassis tuning and an increase in power to around 400 hp, larger updates are also expected for the infotainment system iDrive as well as a modernized range of assistance systems. The main argument for the BMW i8 Roadster is, however, the possibility to be able to drive silently electrically even when the roof is open. Officially, however, BMW is still silent and has yet to unveil further details. It is, however, clear that the 2018 i8 Coupe should also receive an update – although the design is almost as fresh as on the first day of its release. The new battery technology will also help the BMW i8 Roadster reach an electrical range of around 50 kilometers from 2018 and make the plug-in hybrid even more attractive.